Sponsorships and strategic partnerships are important elements to sustainable events. Students will learn how to identify partners, create sponsorship packages and tailored outreach, and strategies for sponsorship renewal. Students will also have an opportunity to hear from expert practitioners, and create their own sponsorship program for their event. 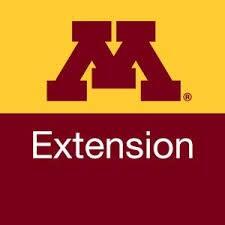 The course will be taught by Jennifer Hawkins, a University of Minnesota Extension Educator with the Center for Community Vitality. Jennifer has over 15 years of experience in education, community and economic development. Immediately prior to joining Extension, Jennifer worked at the Carlson School of Management's Carlson Global Institute as the Director of Strategic Initiatives and the Global Business Practicum program. In that capacity, she managed external relations and engagement, collaborating with firms across the world to create programs that offered all partners reciprocal benefit. She has an undergraduate degree from Hamline University and Master's degrees from the University of Minnesota in Public Policy and Business Administration. Register by March 29, 2019 and save $50! $99 per person; $149 per person after March 29.